Chances are that your garage doors take up the majority of the front of your home, and that’s no surprise, all told, the surface area of a garage door can amount to nearly a third of a home’s face being used. So you don’t want a flaky old paint job to ruin the visual aesthetics of your house, and a lick a paint can go a long way. But before getting started, here are a few ways to make sure you do as good a job as the professionals. How much paint and what kind? 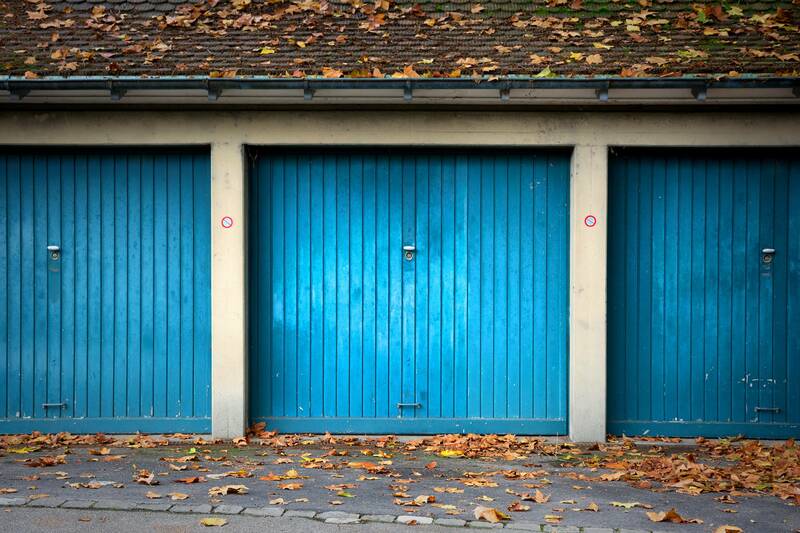 The worst thing that you can do to your garage door is to apply the wrong kind of paint. The type of paint used will be determined by what material your doors are made of, so if you don’t know the material of your garage door then get in touch today and we will be happy to help you out. For example, wood doors will take a lot more paint to cover and will need several layers of paint to create a fine finish. On the other hand, some metal doors such as aluminium will need less paint. For metal doors that are either steel or aluminium, you’ll want to use high-quality latex exterior house paint. If the garage door is wood, you will need to first sand down the door. 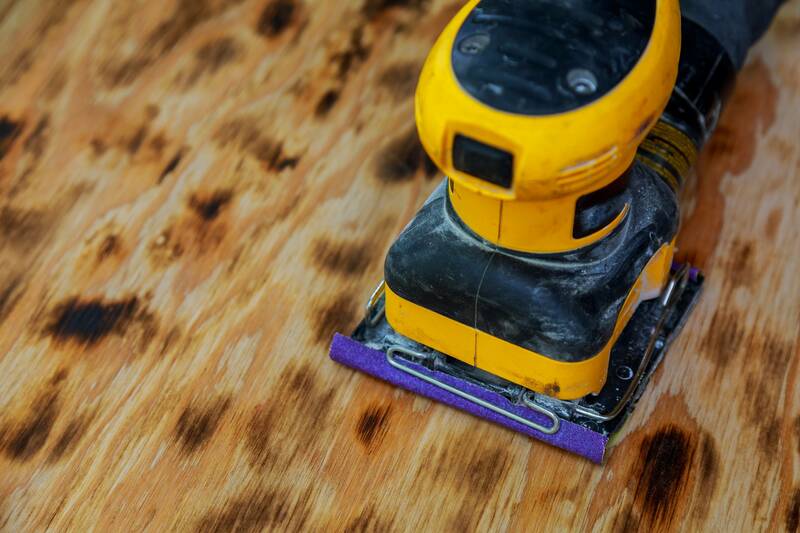 This will remove any bumps and imperfections that may cause paint clumps to form later down the line. Then apply a primer to the wood, and paint. 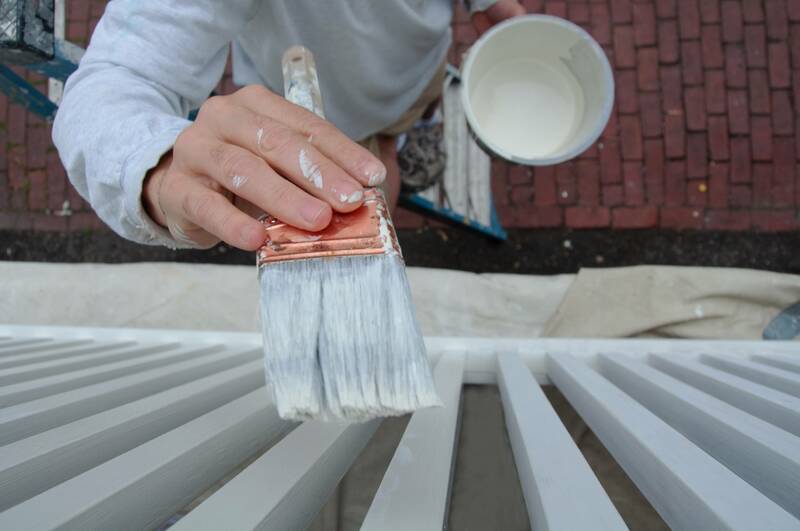 There is more when painting wood, but be sure to use a suitable outdoor paint. The best course of action is to buy an entire large tin of the colour you need as it’s always better to have more and not use it than to have too little and need more. Plus with more paint, it allows a certain room for error, whereby you can correct any mistakes that might crop up. The first step to preparing your garage doors before painting is to remove the dust, dirt, grit and grime that has likely accumulated on the surface of your doors over the years, or if they are new garage doors, there may be small shards built up from transportation. Cleaning your doors need not be hard. The most effective way is with a high-powered pressure washer and then left to dry naturally. However, if you don’t have access to this, a simple sponge will work just fine. The main goal is to remove all the dirt that has built up over time, otherwise, your coat of paint is going to look shoddy. Prior to painting, prepare the floor. Lay down an old sheet, clothing, or even newspaper (providing it’s not too windy) to catch any excess paint. Painting a garage door is no different than if you were to paint anything else, long, slow strokes and you can’t go wrong. Be patient, apply a single coat and let it dry before applying another. Never paint metal outdoors in wet or extreme hot or cold weather conditions. This is because metal and alloy will shift and expand depending on the temperature, and so the paint will not dry at optimal levels. This can cause the paint to look cracked or faded once dry. If you don’t want to go through the hassle of painting your own doors and would rather a bespoke system that suits the aesthetics and functions of your home, then don’t hesitate to get in touch with us, or head over to our garage doors page to see all the options we have available.